I have a 96 GMC Sonoma and want to know if a 14ft yak would have too much overhang? Like as in the stress will hurt a 14' or even a 12'. I dont have a hitch, just a ball on the bumper, so a bed extender isnt an option. Anyone else have a small truck and a bigger yak? I wont be going far, I only have to go 4 miles to get to the water. 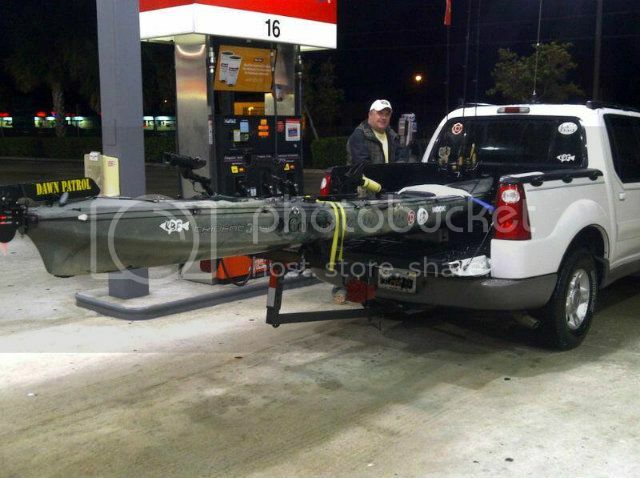 I tow a 14ft canoe with an over head carrier on a ford ranger. I dont think it puts too much stress on it, I just used the holes in the bed and some small posts to make a carrier. I keep it strapped down with 2 ratchet straps and it works fine. Cost me $30 maybe. 3/4 of your boat should be supported, your also putting stress on the scuppers closest to the unsupported section. 1. 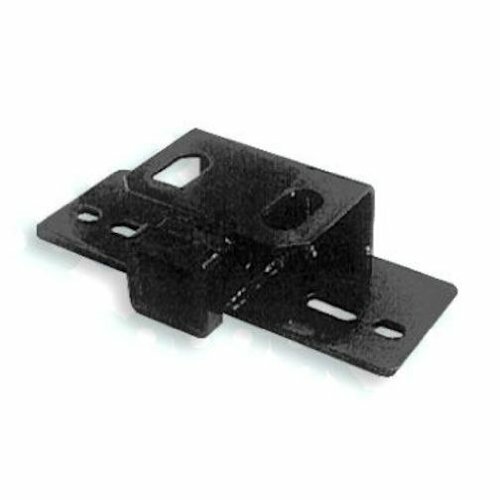 You could get a bolt on receiver hitch (bolts over/under bumper), then use a bed extender. 2. Use two 2x4's on edge or 4x4 about 10'....I'm sure you would want to bolt them to the bed. Im going to go the bolt on receiver style Like you said fire dog, and get a bed extender. My main launch would be 4 miles from my driveway, mostly on a non-busy road. Thanks for the help!